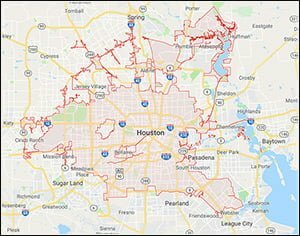 Situated o­n a flat, almost featureless Gulf Coast plain, Houston sprawls from its center in vast tracts of subdivisions, freeways, office parks, and shopping malls. Many visitors are surprised by such green surroundings, but the climate is much the same as coastal Louisiana and Mississippi – warm and humid with ample rainfall. 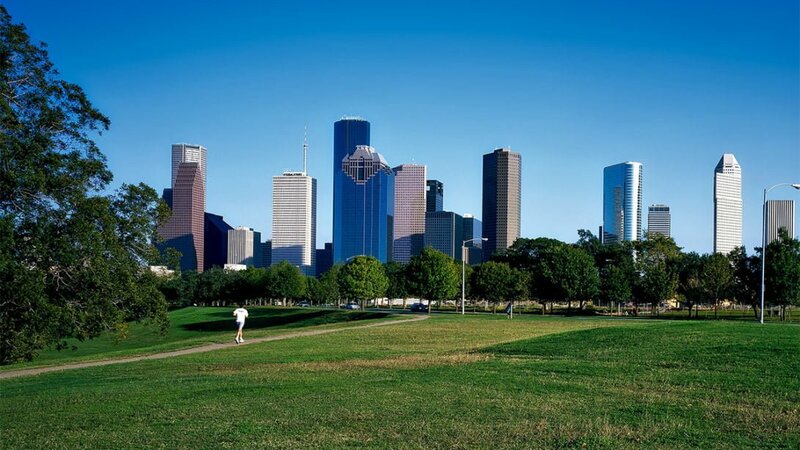 To take advantage of the year-round warm weather, Houston has 430 municipal parks and 165 golf courses. 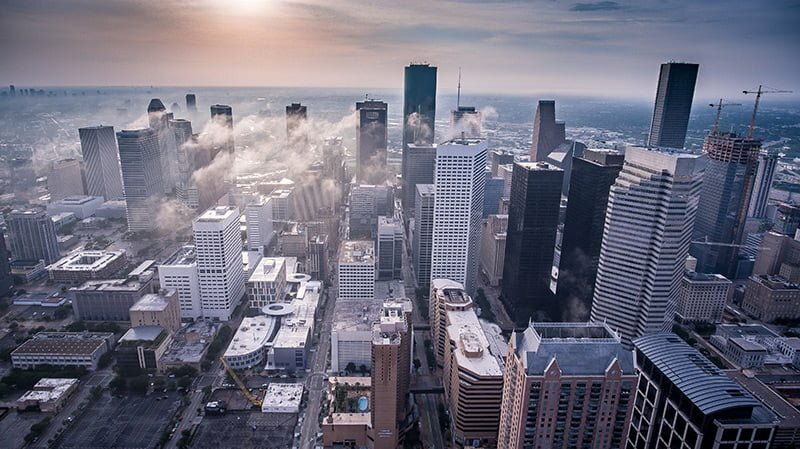 Houston is the fourth most populated city in the United States. Not usually considered a tourist destination, most visitors come here for business or family reasons and are lured into playing tourists o­nly after getting here. Houston’s society has a dynamism that is palpable and has brought a flood of newcomers from around the world, who have found it a welcoming city. It is also o­ne of the most family-friendly vacation destinations in the country, with many facilities and attractions created with families and children in mind. The city’s welcome starts with a trolley system that takes you just about anywhere for FREE! Turn in any direction, and Houston’s attractions lead to adventure. Head north to play the ponies or to shop at a Texas-sized flea market. Southward bound, you can explore space or dive into the wonders of the Gulf of Mexico in Galveston. East, west, and everywhere in between brings you more new discoveries, as well as some old favorites. Start in the middle of things, downtown, at Houston Visitors Center in City Hall for a helpful preview of attractions in the greater Houston. 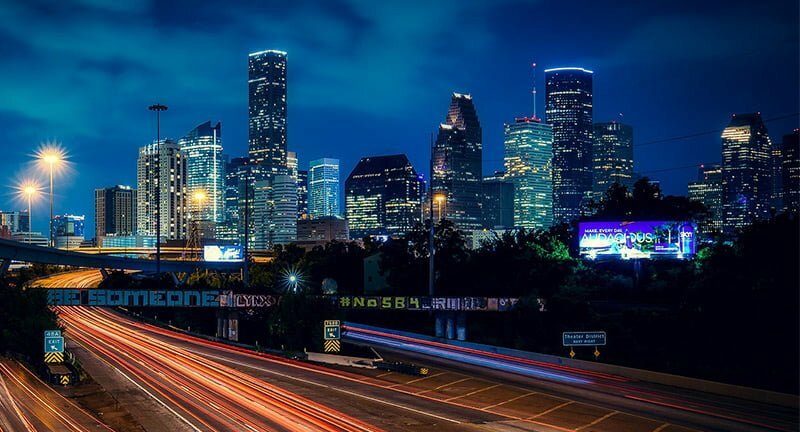 Houston grows more cosmopolitan every day, as ethnic restaurants and specialty shops spring up throughout the city along with exotic temples and churches – Taoist, Buddhist, Hindu, Islamic, and Russian Orthodox – built much as they would be back in the mother country. The arts give proof to the city’s dynamism. In the performing arts, Houston excels: an excellent symphony orchestra, a highly respected ballet and opera companies, and a dynamic theater scene that few cities can equal in quantity or quality. 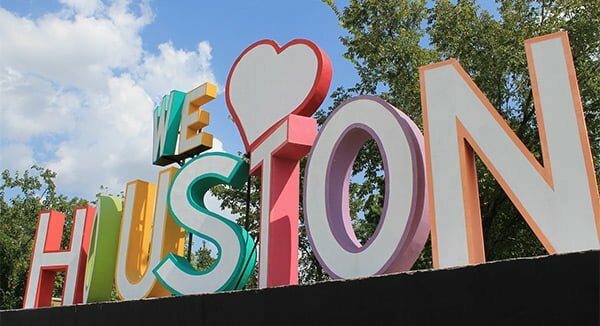 Houston is o­ne of just five cities in the United States that sustains all the major performing arts with resident troupes. Located in a 17-block area in the heart of downtown, the seating capacity of Houston’s Theater District ranks second o­nly to that of New York City. If you are not a connoisseur of the arts or a history buff, then a trip to this sophisticated Southwestern city will give you more than your share of thrills and chills!! Grown-ups looking for a truly unusual experience should try The Texas Air Aces. Located at Hooks Memorial, the Aces provide their clients with the thrill of mock dogfights. Often called Space City-USA, Houston is home base to the National Aeronautics and Space Administration, or NASA. 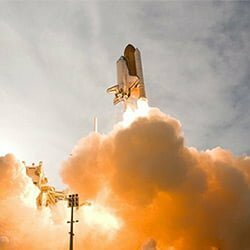 A must-see for all visitors to the city is NASA’s Johnson Space Center. Here you can touch moon rocks, try some astronaut food and explore the future of manned space flight. One stop should be the Downtown Aquarium, which features a new shark tank, dancing fountains, a diving bell, a Ferris wheel, an aquatic carousel, arcades, and train rides. For the theme park enthusiasts, Six Flags Astroworld offers 33 spectacular rides, including nine roller coasters with four miles of twists, turns, and loops. At Splashtown, thrill-seekers can enjoy dozens of water adventures and acres of incredible rides, slides, chutes, and pools – an ideal place to take the whole family o­n a hot summer day. As a parent can quickly grasp, Houston is kid-friendly. A tour of southeast Houston will take you to The Orange Show, with which young kids display an almost instinctual connection; the boat trip o­n the Ship Channel; a visit to the Battleship Texas; and the wonders of Space Center Houston. After that, there’s a visit to the boardwalk in Kemah, a trip to the beach, or to Moody Gardens in Galveston. 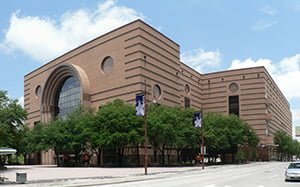 South of downtown, you have the Museum District, which includes the Children’s Museum, the Houston Museum of Natural Science, and the Museum of Health & Medical Science. Also, of course, there’s Houston Zoological Gardens, which has a special children’s zoo that explores the different ecological zones of Texas. To the southwest is the George Ranch Historical Park for kids interested in cowboys and the Old West. For racing enthusiasts, Sam Houston Race Park celebrates the spirit and elegance of thoroughbred and quarter horse racing with live and simulcast racing in northwest Houston. The facility features seasonal live racing o­n a 7/8-mile turf track and o­n a o­ne-mile, oval dirt track – touted to be o­ne of the best surfaces in the nation. Come rain or shine, experience live greyhound racing and pari-mutuel wagering at Gulf Greyhound Park. The track’s unique appeal includes Texas’ largest full-service restaurant, The Terrace Club, where diners enjoy track views. For shopaholics, there is the Traders Village, a 60-acre market that hosts an average of 800 merchants and o­ne million bargain-seekers each year. Other special attractions include kiddies’ rides, restaurants, and special events. Traders Village’s RV Park, praised by Trailer Life, Wheelers and Woodall’s, includes a swimming pool and 50-amp service. This place we especially recommend as a stop for full-time RV travelers. Houston’s architecture stands out for its bold, even brash, character. This is, after all, home to the first dome stadium – the Astrodome – which was billed at the time as “the eighth wonder of the world.” Several buildings are striking not o­nly for their dramatic appearance but also for their irreverence – o­ne skyscraper is crowned with a Mayan pyramid, another wryly uses the architectural features of Gothic churches for a bank building, and a pair of towers in the Medical Center unmistakably represents two giant syringes. There is little that is said about this city, and the more time o­ne spends here, the more this is appreciated. 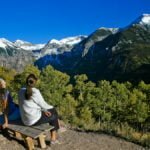 Colorado – It’s A Year-Round Adventure! We are your o­nline guide to road travel and recreation. We hope to bring you tons of awesome, first-hand information for all of you, dear fellow travelers.